There are around 7 billion people in the world and only 365 days in a year. That means that on any given day there are literally millions of birthdays being celebrated (around 20 million per day on average). These are spread far and wide, of course, but in all probability you have a friend or three who share your birthday week, if not the actual day. Here are a few reasons you might want to share your birthday celebration and your birthday party venue. The immediate advantage of sharing your birthday party venue and celebration is an economy of scale. The bigger your event, the cheaper it can be on a per guest basis. One of the best ways to achieve this is with a joint birthday party. 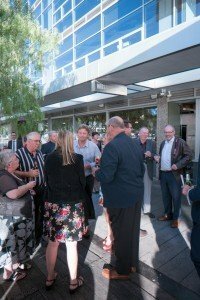 Combine your guest list with someone else, book a larger venue and organise a food and beverage package (Harbour Kitchen is very flexible in both these regards) to split between hosts. It’s great having a mixture of guests who know each other well and others who don’t. It can generate conversation, create new friendships and add to the sense of fun that we love to encourage at Harbour Kitchen. Some people shy away from birthdays, believing that there is too much stress involved. There is the organisational side of the event, there is the pressure of getting the guest list right and, perhaps greatest of all, there is always a worry that your family and friends are not having the best time possible. 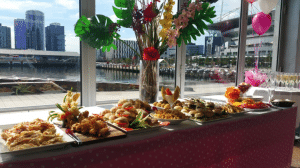 As the premier birthday party venue in Melbourne, Harbour Kitchen know how to take the stress out of any and everyone’s celebration, but sharing your party also helps. 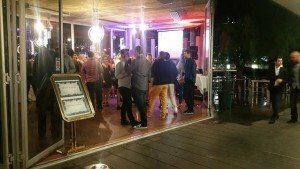 If you have a tendency to feel the pressure of organising a social occasion, two of the best things you can do is select Harbour Kitchen as your birthday party venue and combine forces with a relaxed friend or family member.